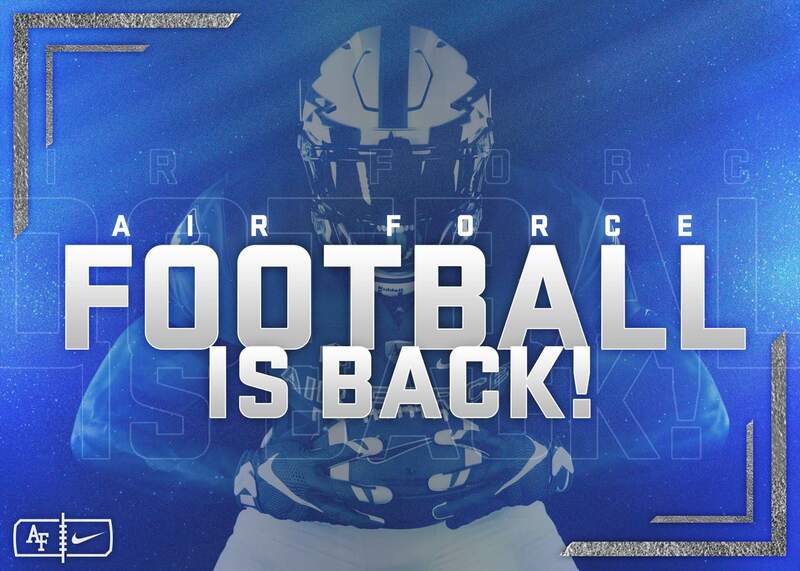 For the 2018 Air Force Football season, we have designated theme weeks tied to our six home games, each highlighting a domain of strength and excellence at our Academy. We celebrate these themes to honor our supporters and history, to initiate conversations on our programs and people, and to display how USAFA is actively driving innovation and shaping the future of modern warfare. Long Blue Line (Aug 27 – Sep 8): We deliver the future leaders of modern warfare, graduates who join the Long Blue Line and epitomize a proud history of selfless service in the Air Force and beyond. Character & Leadership (Sep 19 – 29): We integrate efforts across USAFA to develop leaders of character, delivering innovative programs to develop intellectually agile leaders ready to win the next war. Aviation (Oct 1 – 12): We offer cadets the premiere path to aviation careers in the greatest Air Force on the planet. Our aeronautics research is driving innovation in aviation and shaping the modern battlefield. Cyber (Oct 15 – 27): We provide world-class cyber education and training opportunities to cadets, and innovative cyber solutions to real Air Force operational problems and national cybersecurity concerns. Research (Oct 29 – Nov 10): We provide cadets and faculty unparalleled research opportunities. We partner closely with industry to advance innovation in providing critical assets to the modern warfighter. Space (Nov 12 – 22): We prepare our cadets to lead in a future where space is an evolving and critical domain. We have the world’s first and best accredited Astronautical Engineering program. Our relentless pursuit of excellence in these endeavors is integral to our mission success as we prepare our cadets to fly, fight and win in air, space and cyberspace. But we can’t do it alone. It takes the entirety of our supportive network – our alumni, friends, families, community partners and supporters – to keep our Academy on a limitless trajectory of accomplishment. Thank you for joining us here today not only in support of Air Force Football, but of our entire United States Air Force Academy and the exceptional efforts going on across this campus. GO FALCONS!